Traditional Czech style music, polkas and waltzes. Czech polka music Midwest (Nebraska) style. Smooth sound and easy to dance to. 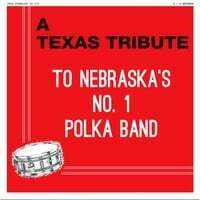 We did a tribute album to one of my favorite polka artist from Nebraska. Ernie Kucera and his Nebraska's No. 1 Polka Band. They had the smooth sounds and styles that other polka bands didn't have. Great Czech vocals to go along with their smooth sound that made them one of the most popular polka bands in Nebraska. This is our tribute to Ernie and his band. Same arrangements, same tempo. Take a listen and let us take you back to the Golden Years of polka music. Sit back and enjoy our Tribute to Ernie Kucera and his Nebraska's No. 1 Polka Band.